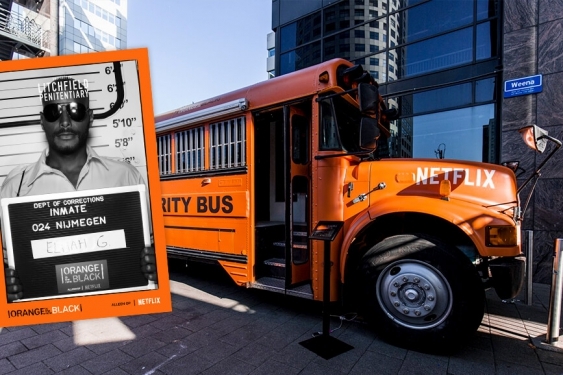 To promote the new Orange Is The New Black season on Netflix, a special Prison Bus toured throughout The Netherlands. From a mug shot and a line-up outside the bus to being behind bars, GIFs were all over the place. Within 2 event days we reached over 43.500 people; 2.700 mensen directly at the event and more than 21.000 via social media.